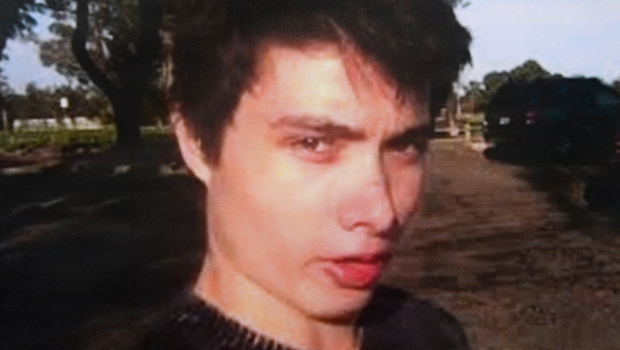 Elliot Rodger's rampage Friday is the latest in a growing list of mass killings that highlight the complicated intersection of mental illness and access to guns. The killing spree followed a host of red flags and has again raised the question: What can be done to prevent such tragedies? How was Elliot Rodger able to purchase weapons? "The truth is it may be a failure for all of us. We are not doing enough to help our mentally ill, there is no doubt," constitutional law professor and Second Amendment expert Adam Winkler told CBS News. "We are making it too easy for people who are mentally ill to get access to guns. It's just very difficult to know exactly what would be the rule to put in place that would avoid some of these horrendous killings"
Rodger stabbed three people to death, fatally shot three others and injured 13 before killing himself. His behavior and social media rants before the attack raised concern, but, police said, it wasn't enough to warrant intervention by authorities. Sheriff's deputies visited Rodger three weeks before the attack after his troublesome Internet posts had spurred relatives to contact a social worker, who contacted police. Rodger was able to convince the officers he was not a threat. "He was able to make a very convincing story that there was no problem, that he wasn't going to hurt himself or anyone else," Santa Barbara County Sheriff Bill Brown told CBS' "Face The Nation." "He just didn't meet the criteria for any further intervention at that point." But, Winkler said, there are perhaps steps police can take in the future in addition to sending officers to check in on a potential threat. "Maybe they should also take that name and run it through extensive social media searches to try and see if they can get more information about a person. What you get from someone outside their door after you've knocked on it is not necessarily the true person," Winkler said. "Sometimes on social media you'll get a lot better insight into someone's mental illness." Rodger's social media postings may have given officers probable cause to search his house, Winkler said, where, according to Rodger's 137-page manifesto, they would have found his stockpile of three legally purchased semiautomatic handguns and the document laying out his fatal plans. Criminologist Jeffrey Butts told CBS News in an earlier interview that mental health screenings shouldn't be done by officers, but by clinicians. "I think California would be better off if they used a combination of clinician and law enforcement personnel to have that initial contact." That someone who had long struggled with mental health issues was able to legally assemble such an arsenal has also been a matter of debate. According to Rodger's written manifesto, his family made numerous attempts to get him treatment for symptoms of psychiatric illness, but Rodger was resistant. He was prescribed an antispychotic drug called Risperidone but refused to take it, according to his writings. Rodger was able to purchase his guns legally, even under California's tough gun laws. "Sadly California is doing it better than almost any other state and it's still an imperfect system," said Winkler. "California for instance requires therapists who hear a patient make a specific threat to an identifiable person to report that person to police. And that person who makes that threat will be barred from buying a firearm for six months after that report. But you can't require anyone who goes to see counseling for mental illness to be prohibited from purchasing a gun." Untreated mental illness an imminent danger? As "60 Minutes" reported in September 2013, following the attack at the Navy Yard in Washington, D.C., mental illness has been a common thread in the country's recent major acts of mass violence. Five weeks before the Navy Yard shooting, Aaron Alexis, the gunman, told police that he was hearing voices and being bombarded by strangers with a microwave machine. In 2007, Virginia Tech student Seung-Hui Cho killed himself and 32 others. His behavior before the attack had led a court to order him to seek mental health care, an order that was never carried out. Before James Holmes killed 12 people in a Colorado movie theater, University of Colorado campus police had been warned he was potentially violent. "Mental health professionals will be the first ones to tell you that you don't want to scapegoat all mentally ill people," said Winkler. "There is a very large number of people who go seek counseling for mental illness, sometimes severe mental illness, and they're not generally a threat to other people." But, Winkler said, more can be done to keep firearms out of the hands of potentially dangerous people. "We clearly have to start re-thinking our laws to figure out if we can capture more people on the prohibited purchasers list who have mental illness. And have to do a better job of getting all those people who are adjudicated to be mentally ill into the federal database system," Winkler said. "There is nothing in the Constitution that prevents governments from adopting laws to keep mentally ill people from getting their hands on guns. Absolutely nothing. And the Supreme Court would uphold any law that restricted access to guns by people who are seriously mentally ill. "